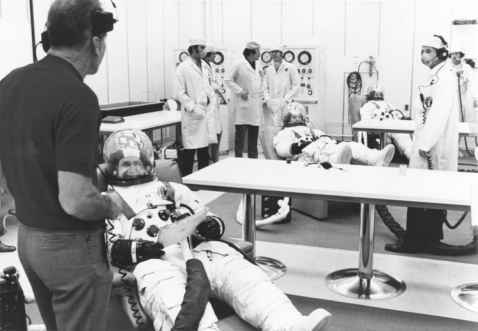 The fifteen-month plan for the new astronauts was designed to prepare the group for assignment to a specific mission, with the training directed towards the Block II Apollo spacecraft and mission profiles (lunar and Earth orbital). However, in order to enhance their knowledge of spacecraft and space flight operations, the group would also monitor the remaining Gemini missions (Gemini 9 to 12) and the early Apollo Block I and Block II missions. Following assignment to a flight crew, their training would be covered under specific mission training plans. The duration of the overall course was dictated by the seasonal requirements of the survival and geological field trips and to allow the participants to become familiar with both the flight hardware and operational procedures prior to any flight assignment. The science and technology summary courses were devised to provide the astronaut trainees with ''a means of attaining a common level of understanding in the prescribed subjects.'' The courses were chosen to provide sufficient background information about the design and operation of the spacecraft, launch vehicles and mission experiments and were fundamental in nature. However, the course on guidance and navigation included a functional description of the Apollo G&N system, as well as covering the basic components of inertial guidance systems. Each week, courses were scheduled for Monday to Wednesday, with the rest of the week devoted to operations, project briefings and field trips. At least one of the scientist-astronauts (Michel) also used the spare days to maintain his connections in the academic world (in Michel's case, the nearby Rice University in Houston).